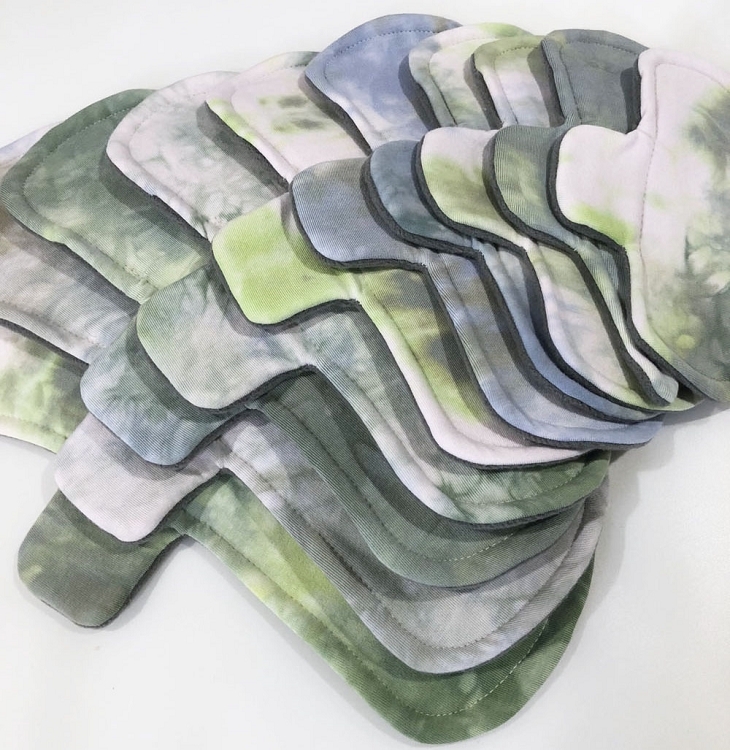 Home > Cloth Pads > 8 Inch Light Flow Pads > Earthy Hand Dyed Bamboo Jersey Pads with Fleece backs - Pick Your Size! These pads feature an Earthy Hand Dyed Bamboo Jersey top. The pads are backed with Water Resistant Windpro Fleece and feature an absorbent core made of Bamboo Fleece.